Accidents at sea take place in one of the most deadly environments on Earth for humans — the ocean. Fleeing from the wreckage can get you into even more trouble than clinging to a burning timber. Here are the biggest and most memorable maritime disasters. The La Girona, a galleass of the Spanish Armada, sank off Lacada Point, Northern Ireland, on the night of 26 October 1588. There were about 1,300 people on board, but only nine of them survived. The Séduisant, a lead 74-gun ship of the French Navy, launched in 1783, wrecked and sank on 16 December 1796. Only 60 survived of the 610 soldiers and 600 crew. The Tek Sing (means True Star), the "Titanic of the East", a three-masted Chinese junk, sunk on the South China Sea on 6 February 1822 and leaving 1,600 dead. A Mississippi river paddle wheeler named SS Sultana, constructed in 1863, exploded on April 27, 1865. About 1,600 of its 2,427 passengers died when three of the ship's four boilers exploded near Memphis, Tennessee. RMS Titanic, the largest ship of its time, collided with an iceberg and sink on 14 April 1912. 1517 were dead of the ship's 2,224 passengers and crew. HMS Queen Mary, completed in 1913, but never left the North Sea. It was participated in the Battle of Jutland, the largest fleet action of WWI and hit there twice by the German Derfflinger and sank on May 31, 1916. 1245 people were died. The RMS Lusitania, a British ocean liner, torpedoed and sunk by a German U-boat U-20 on 7 May 1915, causing the deaths of 1,198 passengers 11 miles off the Old Head of Kinsale, Ireland. 764 people were rescued. SS Principe Umberto, an Italian passenger and cargo ship built in 1908, but it was used as an armed merchant cruiser during WWI. In June 1916 it was torpedoed and sunk by the Austro-Hungarian U-boat U5 and caused the death of 1,926 people. The Halifax Explosion, or the collision of the SS Mont Blanc with a full cargo of explosives and the Norwegian steamship SS Imo. The fire and the following explosion (with an equivalent force of 2.9 kilotons of TNT) leveled the Richmond District of Halifax, Nova Scotia, Canada, December 6, 1917. 2000 people were killed by collapsing buildings and fires, and 9,000 others were injured. RMS Lancastria, a British Cunard liner, sunk by a Junkers Ju 88 aircraft on 17 June 1940. Over 1,400 tons of fuel oil leaked into the sea and made a living hell. More than 4000 people died, some of them burnt to death or drowned, but some were shot by German aircraft. 2,477 people could survive the the worst British maritime disaster ever. 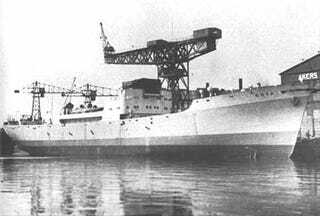 The Soviet ex-passenger ship Iosif Stalin, ran on 3 naval mines on 3 December 1941 near Hanko, Finland. While the crew tried to repair the damages, the Finnish coastal artillery opened fire. The ship took a hit from a 300 mm (12 in) shell and the ammunition storage exploded. There were 5,589 people aboard, but only 1,740 were rescued. The ship began to sink. The dense mine field made it extremely dangerous to try to save the ship. Many Soviet minesweepers were damaged and one exploded during the rescue operation. Minesweepers No. 205, 211, 215, 217 and a further 5 patrol boats from the convoy defense managed to rescue 1,740 men. Panic struck the remaining passengers. The convoy continued its journey, and the Iosif Stalin, which had settled deep in the water (water reaching the main deck) drifted towards the Estonian shore and ran aground. A planned Soviet rescue attempt was aborted because one minesweeper ran onto a mine and exploded. German forces captured the survivors of the Josif Stalin. The ship was "forgotten" in Soviet history, since its commanders ordered a capitulation of the nearly 3,000 strong survivors, although they had weapons and ammunition to put up a fairly good defense. – according to Wikipedia. The ship, during evacuation of troops from Hangö, only few weeks before the disaster. USS Arizona, the second and last Pennsylvania-class battleship, launched in 1915, modernized between 1929 and 1931. 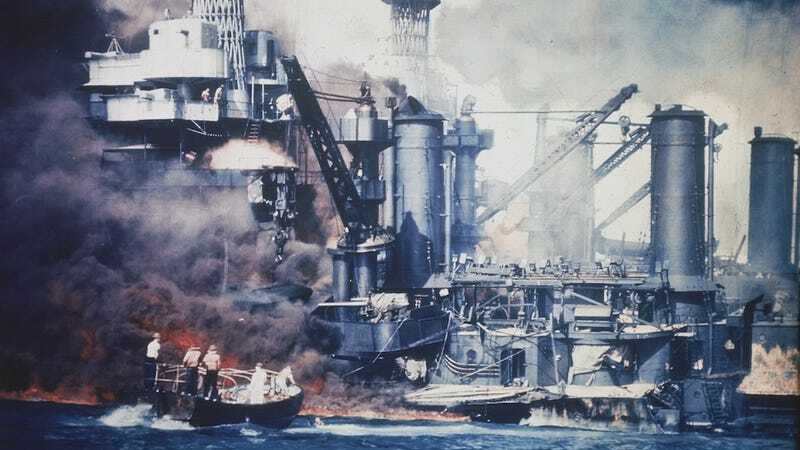 During the Attack of Pearl Harbor it was bombed and exploded, killing 1,177 of the 1,512 crewmen on board. The collapsed superstructure was scrapped in 1942, but the most of the wreck is still there. The MV Wilhelm Gustloff, a German ship constructed as a luxury cruise ship in 1937, torpedoed by a Soviet submarine in the Baltic sea while evacuating German civilians and military personnel from the occupied Poland, sunk on January 30, 1945. It was the largest loss of life in a single ship sinking in history. 9400 people died there, including 5,000 children. German forces were able to rescue 1,252 people with torpedo boats, minesweepers, a patrol boat, a torpedo-recovery boat and a steamer. Yamato, the heaviest and most powerful battleship ever, launched in 1940, sunk on 7 April 1945 by torpedo planes from American aircraft carriers. Only 280 of the 2,778 Japanese soldiers were rescued. MV Goya, a German transport ship, originally built as a freighter in Oslo in 1940, but seized after the occupation of Norway, torpedoed and sunk on 16 April 1945 by a Soviet submarine, while carrying more than 7000 wounded Wehrmacht troops and civilians. Only 183 survived. The wreck was discovered in August 2002 at a depth of 249 ft (76 m) in the Baltic Sea. The SS Cap Arizona, a German luxury ocean liner launched in 1927, later used for evacuation of Germans from East Prussia. It was sunk by the Royal Air Force three days after Hitler's suicide on 3 May 1945 while it was full with prisoners from Nazi concentration camps. 5000 people died there. German growlers were sent to the burning ship and they managed to save 16 sailors, 20 SS women and 400 SS men. Most of the prisoners were shutdown and only 350 of 4500 survived. Parts of skeletons were washed ashore until 1971. The SS Kiangya, a passenger steamship that blew up after ran on a mine of the Imperial Japanese Navy in the Huangpu River on December 4, 1948. There were 3500-5000 Chinese refugees onboard (most of them were stowaways) but the ship's official capacity was only 1,186. 2750 to 3920 people were died and only 700-1000 were rescued by other ships. Tōya Maru, a Japanese train ferry launched in 1947, sank during a typhoon on September 26, 1954 between Hokkaidō and Honshū, Japan. 1153 were dead in the accident. MV Doña Paz, a Filipino passenger farry, built in 1963, sank after colliding with the MT Vector oil tanker on December 20, 1987. 4,375 people died, many of them burnt alive. Only 26 survivors were retrieved from the water, 24 of them were passengers from the Doña Paz. MV Le Joola, a Senegalese ferry built in Germany in 1990, capsized off the coast of the Gambia, September 26, 2002. There were about 2,000 people onboard (but only 1,034 with tickets), and at least 1,863 of them were dead. Only one woman and 63 men survived. The accident was caused by the high number of passengers, poor maintenance and rough wind.